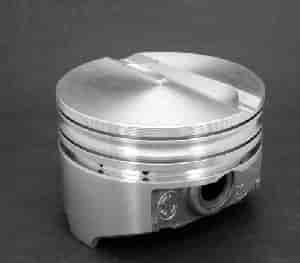 KB106.030 - UEM Pistons KB Signature Series Hypereutectic Small Block Chevy Pistons is rated 4.0 out of 5 by 1. Rated 4 out of 5 by Laser21 from OK Keith Black search failed to locate. Diameters measure good. However weight different to both advert and Keith Black spec. Also disappointing that changing from +20 to +30 gains 10 grams on the piston weight. This is sold as a set of 8.